Leather Jackets As The New Cardigan? I've started wearing leather jackets in the office, the way that I would normally wear a blazer or a cardigan. I think it definitely is more casual, but I think it is also just plain cooler. 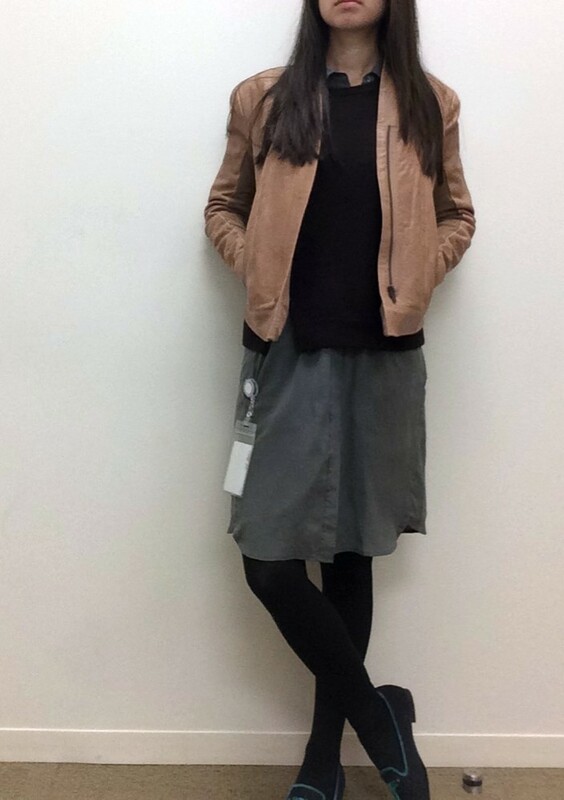 I try to pick well-fitting and streamlined leather jackets so the fact that I'm wearing outerwear, indoors, is less noticeable. 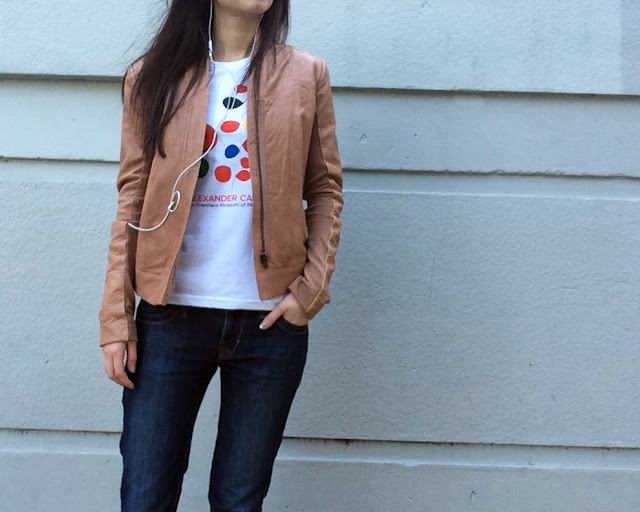 This was a casual Friday outfit, which showcases my new shirt from SFMOMA. The museum just reopened after a multi-year renovation, and is pretty awesome. I plan on doing a whole post on the outfits of the museum-goers, because the people I saw there last time brought their A-game. I normally would have worn a black blazer with this dress/sweater combo, but this jacket fits into the color palette and, frankly, was warmer. For my last leather-office-look, I admit this jacket is a bit more fussy, with its funnel collar, but I wore it anyway. It punches up my otherwise very business-casual outfit. 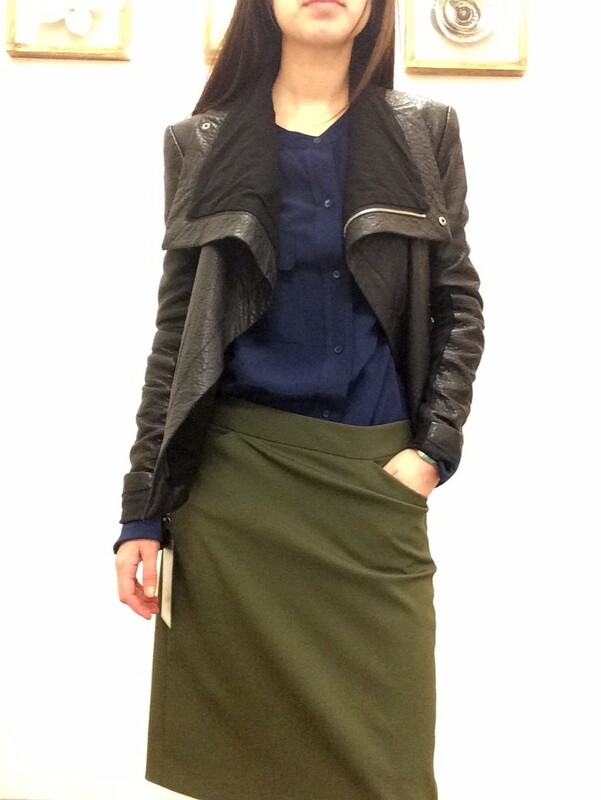 What do you wear to kick up your work outfits?